Recently I had the pleasure of attending an evening with the world famous Don Peppers in Melbourne to discuss the Future of CX along with Arthur Nowak from TeleTech and Tim Evans from Energy Australia. There was a heap of takeaways from the night and I’ve done my best to provide you with some great tips and practical examples to help you focus on what you can do to shape the future of CX in your business. One of my favourite stories from the night was Don’s tale about a hotel in the US and whilst it’s an old story, it perfectly illustrates why culture will win out every time. A Marketing Manager of a famous hotel chain wanted to make some changes to the check-in system so that when a customer checked in at the hotel, it would pop up an alert on the screen so the customer could be greeted with “Welcome back Mr. Tippett, its great to have you staying at our hotel again” style of message. The Marketing Manager went to the IT department who after considering the requirements for a few weeks, came back to the Marketing Manager and told him that yes indeed, that could be done. It will, however, take around 8 months to implement and cost in excess of $1M to make the changes to the system. Needless to say, the Marketing Manager was less than impressed and went away fuming. Shortly thereafter, he arrived at one of his hotels to check out a new design fit out that had just been completed. A new foyer, check-in area etc had all been completed so whilst he had been to the hotel some 5 years before, it looked very different this time around. He got out of his cab, had a brief conversation with the porter who grabbed his bags and navigated his way to the new check-in desk. To his complete surprise, the check-in clerk greeted the Marketing Manager with “Welcome back Mr Tippett, great to see you again”. Flabbergasted, the Marketing Manager stood in stunned disbelief. How could the clerk have known this? No changes had been made to the IT system and it has been over 5 years since his last visit so he surely could not remember him. The Marketing Manager was not one to die wondering, and after explaining to the clerk who his was, asked just how the hell did he know that he had been here before? The lesson is that if staff are genuinely motivated by a common purpose they will find ways to do amazing things. Technology is not always the solution! There was some healthy discussion around the importance of CX in business and just what the right recipe is for success. One thing again that was crystal clear was the importance of ‘removing friction’ from how a customer interacts with your business. 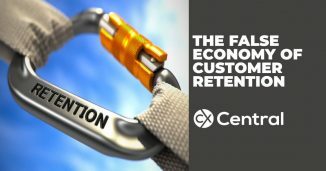 Don quoted one of Australia’s own CX Thought Leaders in David Jaffe, with his book ‘The Best Service is No Service’ which along with other leading companies across the globe, prosecutes the case on the importance of eliminating the root causes for customers having to contact you in the first place. It’s a similar ethos at Amazon, who launch into Australia in 2018. A recent example to illustrate the point is my interactions with LinkedIn. 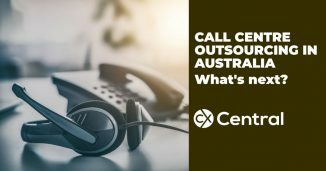 I have a group called that was called Contact Centre Professionals Aus/NZ with a number of the top CX leaders all part of the group (your welcome to join of course!). 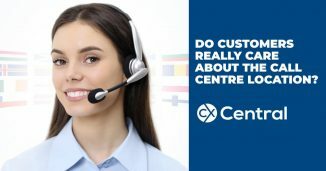 As I’m expanding the focus a bit wider than just contact centres, I wanted to rename the group to align with our new ‘CX Central’ branding. 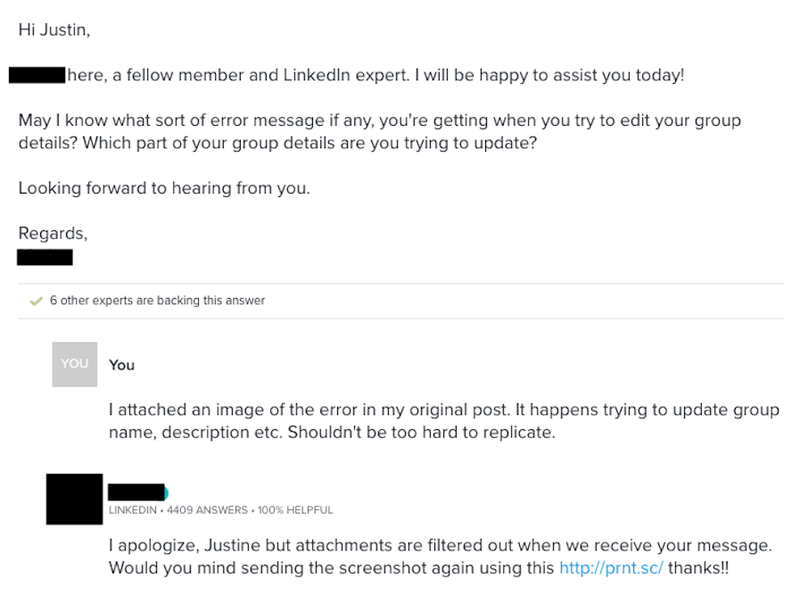 Sadly however I encountered an error so I tried to contact LinkedIn for help but let’s just say they make it difficult to contact them directly (Live chat or phone calls are not an option). When you finally crack the code and navigate your way to their support centre I eventually send them a support request detailing what’s triggering the error along with a screenshot of the error (which the support form actually prompts you for). I experienced an issue in the first place (so they hadn’t eliminated the need for me to call). It was difficult to locate support options and even when I did no immediate support options were available (so I wasted valuable time when I was already frustrated). I took the time to attach a screenshot when I logged my enquiry which turns out was a complete waste of time as their support team can’t even view the attachments! The text is Americanised (apologize instead of apologise). Again not a big deal but it wouldn’t have happened if my support was provided locally. The issue is still not resolved! This is just one of many many examples I encounter on a daily basis and I’m sure you will also be able to recount plenty of your own examples in everyday life. But as CX leaders, it’s our job to remove the friction! When was the last time you stopped and examined the friction your organisation is causing for your customers? Its been a long-held view that reducing your cost to serve and increasing your customer satisfaction are at the complete opposites of the spectrum. As an example, albeit a simplistic one, no one is motivated to send calls offshore to a cheaper destination with a view to improving the customer experience. Its primarily to reduce costs and at best you hope that service levels don’t decline. So does the holy grail of lowering costs and improving the CX actually exist? You bet! Ok, sure there are some obvious ones. Voice Biometrics for example. By removing the need for customers to ID themselves each and every time they call you can save 60 seconds off every call. Assuming a fully loaded cost of $60 per hour per agent you’ve just saved $1 of talk time for every call. If the Voice Biometrics solution costs you $0.10 per transaction it’s pretty easy to work out that’s a great result! And you’ve saved your customers the pain of the experience and reduced their effort by 60 seconds and your agents no longer have to have the same conversation 100 times a day everyone is a winner! But it doesn’t always have to be lead by the Contact Centre. Don gave a terrific local example of St.George Bank and their ATM’s. Have you ever been to an ATM and after you insert your card the first question you are asked is your language preference? Don was most impressed that this question was not offered when using a St. George ATM. After all, the bank knows your details and presumably knows the language you speak so no real need to ask the question (or if it was really smart it might just ask you once but then remember your preference for next time). But this wasn’t primarily a CX improvement project… Don ran into the head of the ATM program who revealed that the reason it was removed was that real-estate for ATM’s is very expensive in Sydney CBD and to improve the efficiency they removed the language question so each ATM machine could process more transactions per hour. So this was a cost reduction/efficiency project that had the added bonus of improving the CX in the process! So yes, there really are lots of ways to achieve that holy grail! I certainly recall a time not that long ago that many presentations at CX and Contact Centre conferences were about ‘How to make your call centre strategically important”. In short, most contact centres were shoved off into a dark organisational corner and constantly had to fight for some recognition (and funding!) all while trying their best to support customers. Thankfully those days are (mostly!) behind us but there is still a legacy issue that many of us have failed to master – how to make a business case for investment into a better customer experience. We know intrinsically that if we provide a better customer experience our customers will be happier. And being close to the customers like we are in CX, we typically are intimately aware of some of the pain points within the organisation that needs to be fixed. But what if some of those fixes need a significant investment? How can you convince the bean counters (and shareholders) to invest cold hard cash ‘just to make the customers happy’? Most contact centres still struggle with this today because they simply don’t have the data and/or they haven’t found a way of articulating it. Number 1 is easy to calculate. Number 2 requires a bit more thought but its also the most important component in forming the base of your business case. It could be that investing in X will reduce cancellations by Y, or refunds by Z. Or perhaps by fixing Y will result in customers continuing to purchase more products for longer. Exploring more ways on how to do that might be good material for another article (or some consulting!) but Don’s advice was simple – do your best to calculate that number. Then negotiate that figure with your CFO and presumably when they low-ball it (nothing surer in life!) you can agree somewhere in the middle! Traditionally call centre outsourcing has been a numbers game – more ‘bums on seats’ = more revenue. But in today’s world of smarter technology reducing the more transactional types of calls, call volumes are declining and with it, headcount. So how are call centre outsourcers going to survive? Arthur Nowak, Senior Vice President of Asia Pacific Operations at TeleTech offered a great insight into how the mindset of call centre outsourcing is shifting. For outsourcers to succeed Nowak explained the need to “shift from a bums on seat model to a complete CX solution”. For TeleTech, this has meant transitioning from traditional contact centre services to providing a more strategic approach offering services such as social media, call & process automation and even conducting advertising campaigns and back of house services just to name a few. Taking call automation as an example, the end result is typically less ‘bums on seats’ which can in turn reduce revenue. So isn’t that at odds with the survival of the outsourcer? “For us, we see ourselves as a strategic partner and we actively focus on helping our customers to improve their customer experience and reduce their costs. We’d rather focus on forming a true partnership which we believe will deliver better long term results for our business rather than focussing on short term revenue. Our growth will come from being trusted to do more complex work and by our existing clients acting us brand advocates for us”. That true partnership has a heavy emphasis on delivering a great CX for both their client’s customers and for their client. 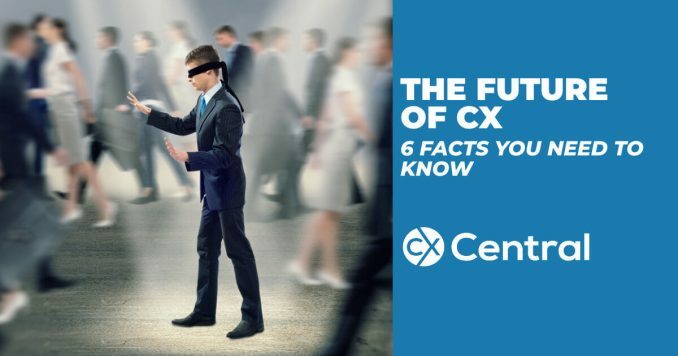 And putting their money where their mouth is, CX targets form a large part of the commercial and personal remuneration. You have to eat your own dog food! But even that model may have its challenges. Peppers provided some examples in the US of outsourcers offering a fixed price model per X number of customers to manage the customer experience, aligned to a set (minimum) NPS score. The incentive for the outsourcer is to work with the company to reduce friction (see your learning already!) so they can lower the cost to serve (leading to more profit for them) whilst maintaining and ideally improving the customer experience. The kind of model requires a level of maturity in terms of thinking and data but there is no doubt that outsourcers will need to keep evolving to be successful. With the rapid acceleration of technology in contact centres like chatbots, Voice Biometrics, natural language IVR’s etc its easy to imagine there is a technology solution for every situation and that eventually, we won’t need people at all! Of course, all that technology requires money, and even with all the money in the world, it still requires humans to program it. Even Amazon with their ”The best customer service is if the customer doesnt need to call you, doesnt need to talk to you. It just works.” model, it still requires a human to write the code and the algorithms. But with all that technology there is little doubt that things are changing. Whereas agents used to have their day scattered with some easy calls and some complex ones, the emerging reality is that its becoming complex all day. And that complexity is increasing! Customers are calling when the technology has failed them. And whilst companies are getting better at providing support to agents (read this article on everything you need to know about Knowledge Management systems) there are still occasions when there is no manual, no procedure and no bloody idea on how to fix the customers issues! Traditionally that would require an agent to log an enquiry, escalate the call to a manager or just make up the answer (ok I might be kidding on that last point!). Point is it wasn’t a great customer experience. But different times call for different approaches. Peppers provided an example of a local bank in Australia that piloted a new way of dealing with situations that there was currently no documented procedure for. They simply empowered their staff to do what they think is right for the customer. All they had to do was get agreement from one other agent that its the right approach and that’s it, problem solved! Each month they review their two-step approvals and in two years, not one has been overturned. Customer Satisfaction is up and Employee engagement is up. For too long we’ve left our customer service staff to bear the brunt of customer frustration and given them very little empowerment to do anything about it. And then we wonder why staff engagement is low and turnover is high! In this new world, you need to trust and empower your staff to do the right thing for the customer. Culture is the most critical component you need for success!